Happy Thanksgiving! I wanted to share another part of my trip that had a lot of feelings of fall. 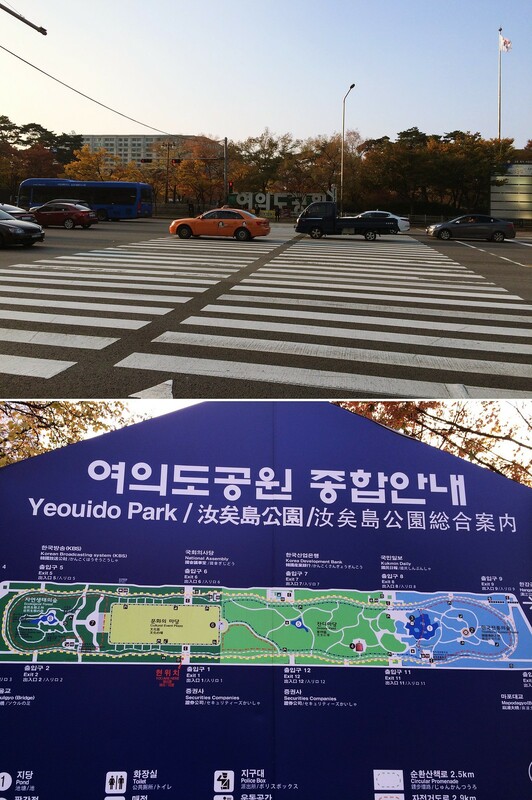 I went to Yeouido park during my trip and we had rented a bike there. The park was really unique since it’s right in the middle of a financial district. As we rode our bike through the routes there, the trees was just mesmerizing; it was something you won’t see in Southern California. I’m just very thankful that I got to go on this trip and have this experience. Hope everyone have a great holiday with their family and friends! Favourite season is Autumn because of the wonderful colours of the trees. Your photos are spectacular. I am very lucky Vicky in that Canberra has the definite four seasons and we have some fabulous autumn leaves here. i love thee trees of fall. 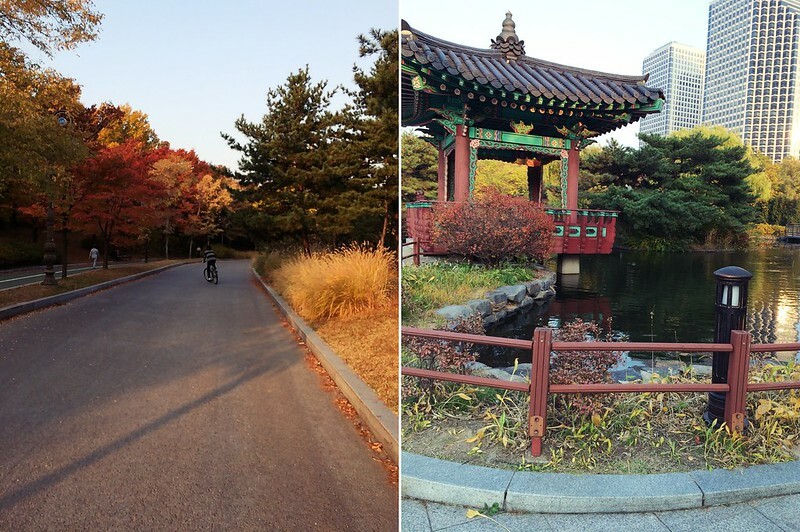 all the red and orange colours make the park look even more beautiful! 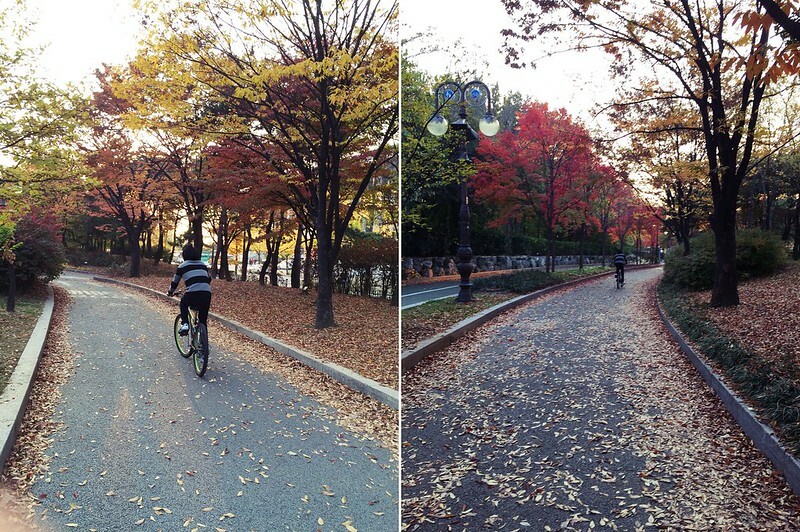 Totally agree, it really does look prettier because of the changing colors of leaves. I love this season so much … the differant colours make it look so beautiful ! I am from the UK, and the leaves have all fallen now and we are approaching Winter! Happy belated Thanksgiving! The pictures look amazing! I’m totally in love with the colors of those leaves! They look so gorgeous and totally put me into a cheery mood! I really love the colors too! 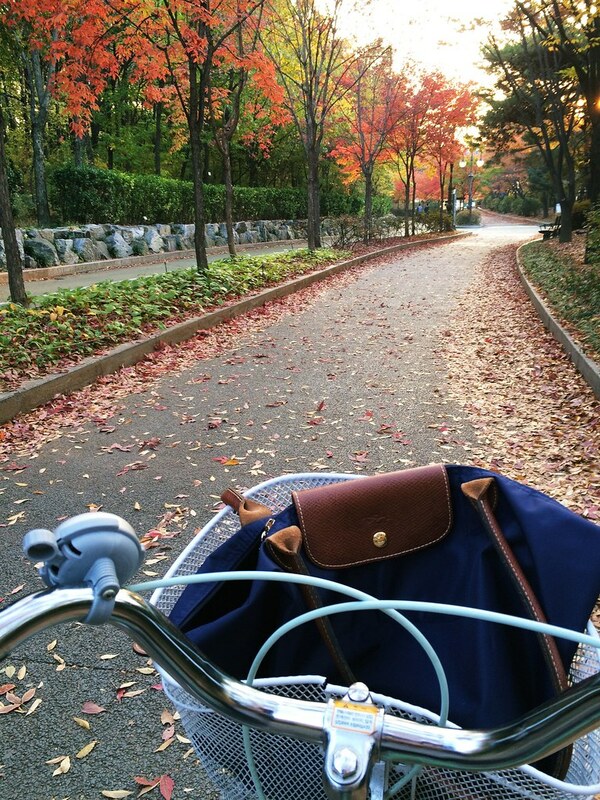 Thank you for these beautiful fall fotos. It must be great and relaxing to walk about there. Enjoy your holiday!